Happy National Employee Benefits Day! 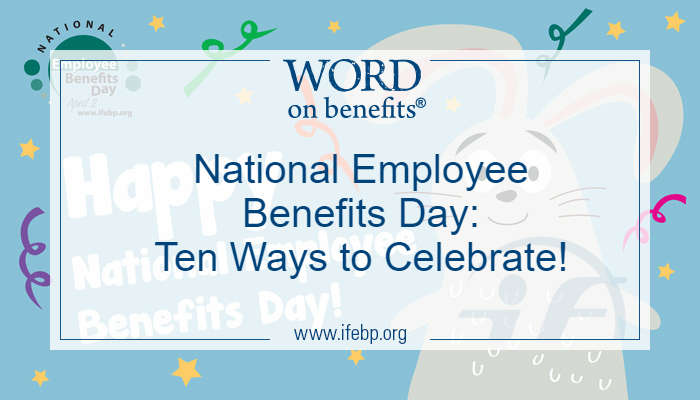 There’s no wrong way to celebrate every benefits professional’s favorite holiday. With all you do to improve the lives of your plan participants and beneficiaries, you deserve to let loose and have some fun. 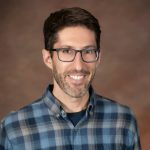 Let this lighthearted list of ideas inspire your own unique ways to celebrate—perhaps through the launch of your Dr. Seuss-inspired series of children’s benefits books, Green Eggs and Hammer Clause, Hop on Pop-Up Option and The ABCs of D-cumulation. When your hip, super-fun colleagues talk about their upcoming weekend plans, shout “Plan merger!” and join them in the festivities. Sell certain assets to reduce volatility, and then record your version of “Another One Bites the Dust” for the benefits bio-doc Bohemian Rhapso-derisking. Ask your securities manager to fall backward into your arms as part of an investment trust exercise. Bring a piñata to the office. When it breaks open, it drops pamphlets on AD&D benefits. Announce the opening of a shop that mixes your two loves—affordable mutual funds and morning joe—in an investments and roastery combo called Low-Fee Cof-Fee. Team up with a streaming media company to tout the benefits of automatic enrollment by blindfolding a small group of plan participants and asking them to work their way through 48 pages of small-font forms in a dystopian horrorscape known as Check Box. This National Employee Benefits Day, learn how to build your resilience while encouraging your plan participants to do the same! If you haven’t already, be sure to register for today’s free Employee Benefits Day webcast, Building Resilience: Practical Tools to Help Your Workplace Thrive, and take advantage of these helpful resources to learn more about resilience. National Employee Benefits Day is celebrated each year on April 2. The day recognizes trustees, administrators, benefits practitioners and professional advisors for your dedication to providing quality benefits and the important role you play in your colleagues’ well-being. We’d love to hear how you’re celebrating the day! Share on Twitter or Facebook with #BenefitsDay.